Each year it’s exciting to see which brands will come out on top and create the next big trend-setting piece of footwear. This has been a pretty interesting year for shoes with a few big releases, updates and innovations with material use. With our eyes to the future, we got a chance to experience some great new releases in 2016 that prove the future is now. I (Colton) polled my fellow staffers and came up with some of our favorites from the year. Check it out! 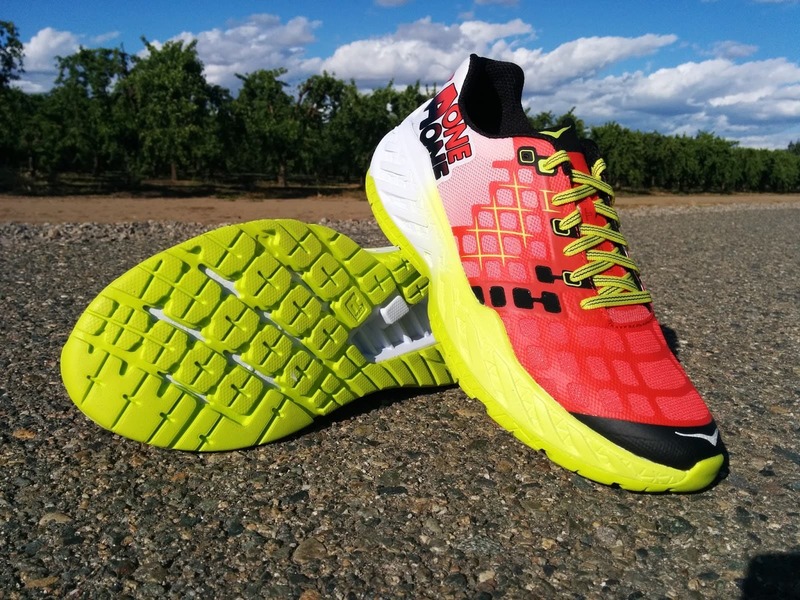 Hoka Clayton – The answer to many people’s worries about Hoka being “too squishy” and “too narrow”. The Clayton is a firmer, faster feeling model than much of the Hoka line. The cushion to weight ratio is insane, but still with some solid “get up and go” ability! New Balance Vongo – One of the first effective stability shoes without a true stability post! What?! Let me explain.. New Balance got innovative with the geometry of the midsole by 3D printing a pattern to be structurally effective and incredibly smooth transitioning from heel to toe. While the slightly lower heel-to-toe offset may be different than what you’re used to, it really comes into its own when you start running. Definitely one to try for the overpronators of the bunch. On CloudFlow – This is a “wow!” shoe. The CloudFlow has no problem sitting back and enjoying the extra underfoot padding but is ready at a moment’s notice to spring into speedy action. It boasts the cushion of a full-weight trainer packed into a lightweight trainer package. It also gave me a mild identity crisis about my personal shoe choices from 2016 ( https://twitter.com/AmeriColt/status/803407173388763136?lang=en ). We found that it fits a little on the long side but the seamless inside adapts well to the shape of the foot. On Cloud – This is a debut shoe for us though it has been on the market a couple years. But that shouldn’t take away from how awesome it is! All year the Cloud has been one of my go-to shoes in the store because it’s lightweight, very flexible, easy to slip on (comes with elastic laces), and certainly hits big in the style department! Saucony Omni 15 – Over the last year Saucony has begun adding in Everun, a new rubbery, bouncy midsole material to their shoes. Their use of cushion in the Omni 15 is a home run. The fit has been received incredibly well in addition to the extra supportive feeling compared to years past. 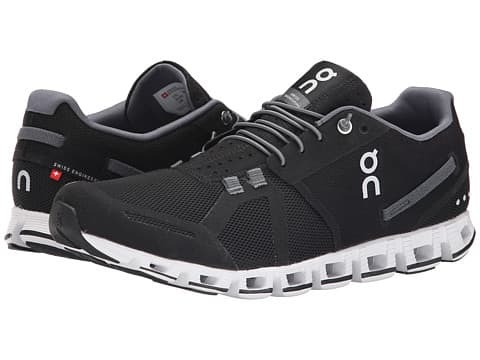 We are unanimously impressed by the 15th edition of this stability shoe. New Balance 860v7 – New Balance as a brand is on the rise and the success is being driven by its workhorse model, the 860v7. The past few years have been mediocre showings in the support category, but v7 truly is a stability powerhouse and commands the attention of your feet. It is still as lightweight as before but this edition uses higher quality of materials with a much-improved heel fit. Overall there has been a very positive response to this shoe. And this is Abbey D’Agostino’s go-to training shoe! Boom! Name drop. 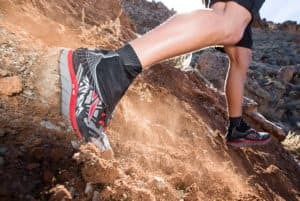 Salomon Speedcross 4 – Very slight tweaks are all Salomon needed to do in order to refine this universally popular shoe. As many of you found out at our Trail Demo Day this summer, some extra grippy outsole rubber and more surface area lugs grip the dirt and mud better than in the past. 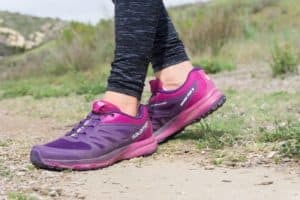 Staffer Melissa has been crushing miles in this for months now because the slightly reduced heel makes the shoe lighter and feel more connected with the trail. Overall, a classic shoe improved with a couple logical adjustments. It also comes in a totally waterproof GoreTex version! Asics GT-1000v5 – $100 – It’s very tough to argue with the $100 price point, especially on a stability shoe that still retains a good cushion underfoot. Nothing else on the market provides the same level of medial support at this low of a price point. Plus the gel cushion under the heel is a great addition for an overall smooth ride. 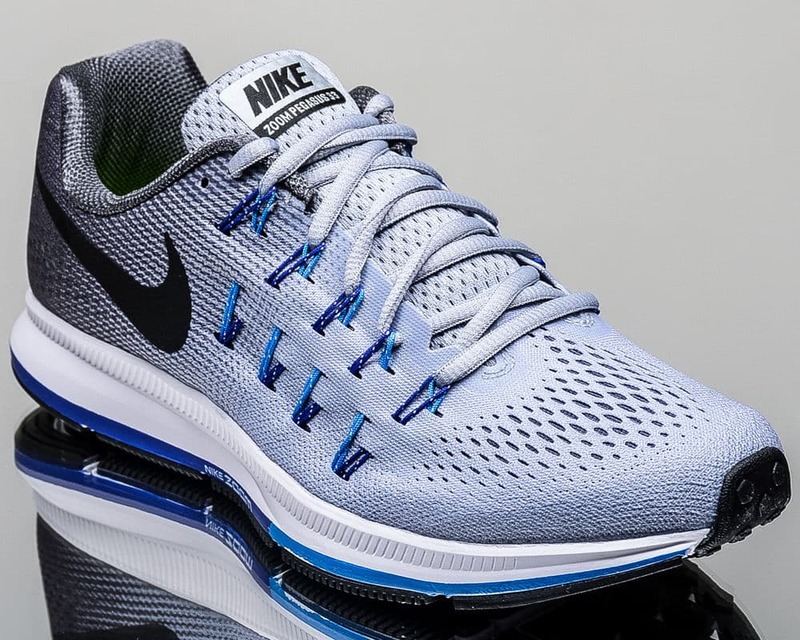 Nike Pegasus 33 – $110 – In its 33rd edition, the Pegasus is still a force to be reckoned with. This is the least expensive Nike running model with both a heel and forefoot Zoom Air unit, which means there is a substantial and bouncy cushion in a traditionally lightweight build. This serves as an excellent product for the casual runner, competitive high schooler or athlete training for a marathon. Adidas Supernova – $130 – For those thrown by the name, this is the newest version of what was the Supernova Glide (they just dropped the name). If you want all the cushion you can get (aka Jill), you’ll be pleased with this new creation. The only shoes with this much bouncy cushion are at a higher price point. Plus the outsole is made from Continental rubber providing greater durability than others in the same category. That same rubber helps with grip on both dry and wet surfaces, so if you are prone to ending up on the ground (also aka Jill), this could be a solid option. Great value out of a classic neutral trainer. Salomon Sense Pro 2 – $130 – For a reduced trail shoe, this price point may be a little odd. However, the Sense Pro 2 really can do it all. Wes uses this shoe on ANY surface, including the entire Stonecat Marathon this fall! It excels on dry trails, but has no problem with wet conditions and has a nimble feel to tiptoe through technical terrain. Because packed dirt is where the Sense Pro stands out, it also serves as an excellent firmer road shoe! Especially for winter in New England when sticky rubber and deeper treads are needed, this could be your “One [Shoe] to rule them all” piece of footwear. Dry roads? Sense Pro 2. Crunchy snow? Sense Pro 2. Slick roads on your way to the soggy trails? You guessed it.. Sense Pro 2! Have any additions you’d put on the list? Was consistency the ticket for you or did you try something new in 2016? Email me at [email protected]! I’d love to hear what has been working for you this year compared to past years.